**Pricing from $1,5000,000-$1,600,000** SunMaria offers five stunning town homes featuring up to 3 bedrooms and 4 bedrooms, ranging from approximately 1,575 – 1,695 square feet of luxurious and modern living. The elegant interior design, open concept floor plans, and energy-efficient concepts are perfect for today’s living! The SunMaria community is located in the heart of Silicon Valley! The new Apple campus (Apple Park), is within a few miles. Other high-tech giants such as Google and Facebook are just minutes away. SunMaria has convenient access to Caltrain, Highway 85, 280 and 101. Being close to Ranch 99, Sunken Garden Golf Course, the Sunnyvale Community Center, and Stanford University makes this an excellent commute. The SunMaria community is located in the heart of Silicon Valley! The new Apply campus (Apple Park) is within a few miles. Other high-tech giants such as Google and Facebook are just minutes away. 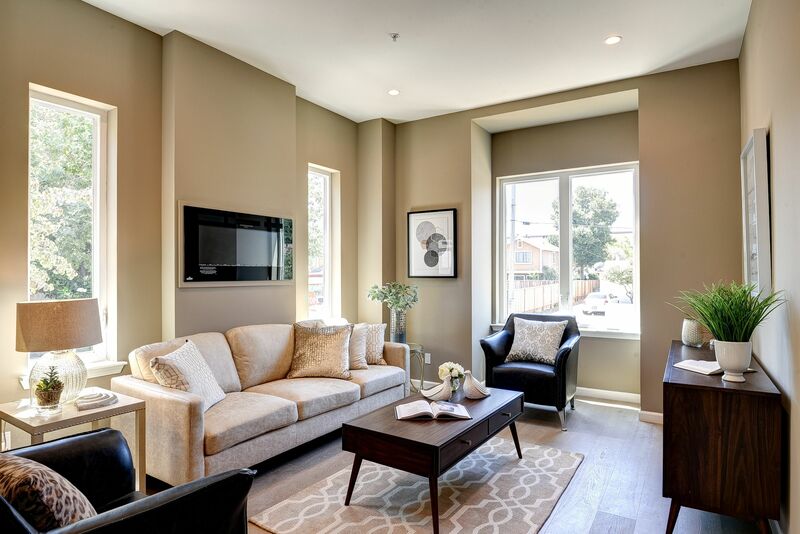 Convenient access to Caltrain, Highway 85, 280 and 101. Excellent commute to Ranch 99, Sunken Garden Golf Course, the Sunnyvale Community Center and Stanford University.